Melt 15g butter in a non-stick pan, add the spinach, and stir until wilted. Season with salt and pepper to taste, then lift from the pan, and drain well. Chop half the spinach and keep the rest warm. Melt the remaining butter, add the spring onion, and stir-fry for 2-3 minutes. Add the eggs, season, and cook gently until the eggs are set. 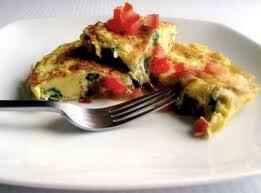 Fill the omelette with the chopped spinach and feta cheese then fold in half. Remove from the pan and top with the remaining spinach. Garnish with sage sprigs and serve with the tomatoes on the side. 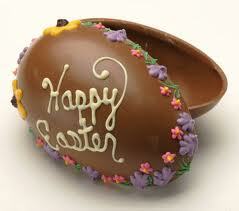 So it’s Easter time again! As I researched the content for this blog I came across this article on the Daily Mail website and decided to share it with you all. It’s definitely an interesting read. I hope this helps to keep you all on the right track. Enjoy! You are currently browsing the Nutritional Concepts Tips and Advice Blog blog archives for April, 2012.